The following tutorial describes how to configure Winamp 5 with Your-Freedom in order to receive internet radio stations. Go to Winamp's "Options" menu, then select "Preferences". 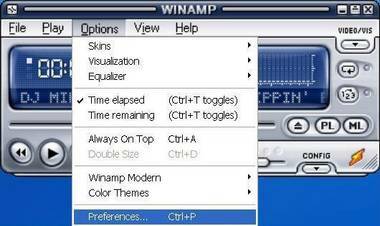 Select the "General Preferences" section in the "Winamp Preferences" tree. Enter the value "localhost:8080" in the "specify HTTP proxy address" text field. 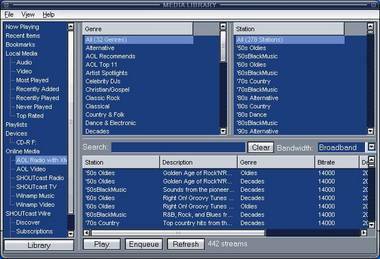 Now, when you select the entry "Internet Radio" from Winamp's "File" menu, you should be able to receive web radio streams.